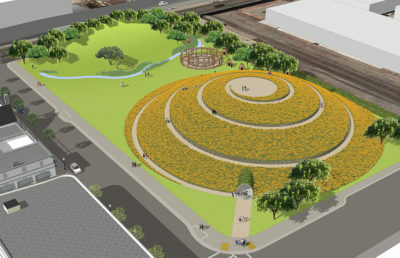 The shellmound, which is currently a parking lot for Spenger’s Fresh Fish Grotto at 1900 Fourth St., is considered to be a sacred burial ground for the Ohlone people. 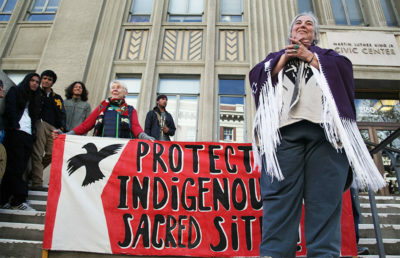 Event organizers Amy Hutto and UC Berkeley doctoral candidate Cole Rainey said they wanted the event to show support for indigenous people on Indigenous Peoples’ Day, as well as to provide a space for community members to donate to the Sogorea Te’ Land Trust — an urban indigenous land trust based in the East Bay. According to its website, the Sogorea Te’ Land Trust aims to “acquire and preserve land” historically inhabited by the Ohlone people. It encourages financial donations through the Shuumi Land Tax, a voluntary annual contribution to support the land trust’s work that can be paid online. Rainey said the main purpose of the gathering was to provide an occasion for people to pay the Shuumi Land Tax in a communal space, rather than online. 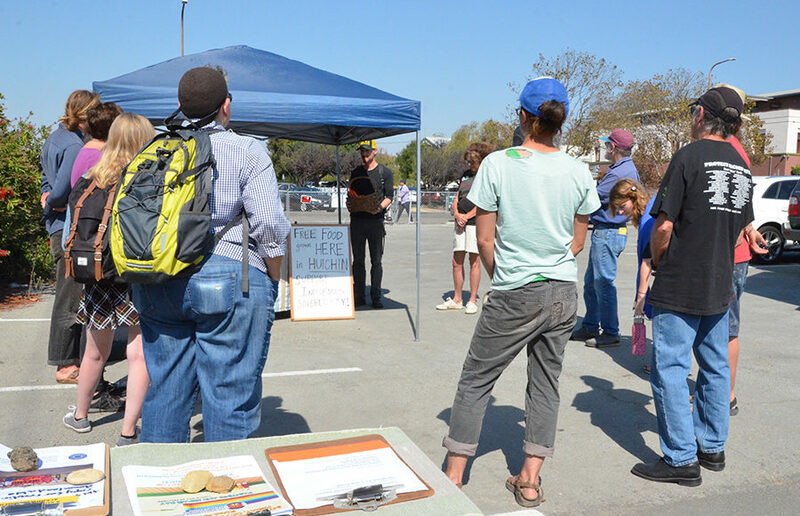 Attendees gathered in a circle and passed around a donation basket while expressing their hopes for the future of the West Berkeley Shellmound land. Hutto said this was the first communal gathering to pay the Shuumi Land Tax, though she added that she hopes it will become an annual event. She said the donation is a “support mechanism” for the Sogorea Te’ Land Trust. “With all the things that are really difficult and wrong in the world these days, (the Shuumi Land Tax) is something that feels entirely right,” Hutto said. The West Berkeley Shellmound has been an ongoing source of controversy in Berkeley. The Ohlone tribe considers the land to be the oldest shellmound in the Bay Area, while West Berkeley Investors, a real estate development company, has proposed the construction of a five-story building on the land. Zoning Adjustments Board Chair Igor Tregub declined to comment on the issue because it is a “live pending matter” before ZAB. Ron Heckmann, who manages public relations for Blake Griggs Properties — a partner in West Berkeley Investors — also declined to comment. But Lauren Seaver, vice president of development for Blake Griggs Properties, previously told The Daily Californian that the 1900 Fourth St. site “has proven to be void of being culturally rich,” citing maps from 1857 that show that the site is a former uninhabitable marshland area. Corrina Gould, co-founder of both Indian People Organizing for Change and the Sogorea Te’ Land Trust, spoke to attendees at the gathering about labeling the West Berkeley Shellmound as a significant spiritual site. She said at the event that in 2005, she participated in a group that used a 1909 map to locate shellmounds in the Bay Area and found that the West Berkeley location was the oldest one. 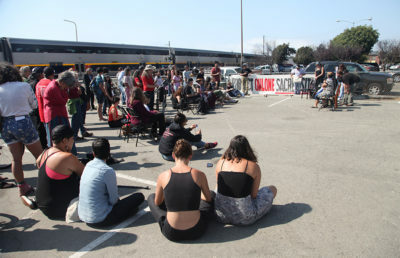 Gould said at the event that sites considered sacred by the Ohlone people are “desecrated by the development,” and she voiced her opposition to the proposed building project on the shellmound site.